The Community Benefit Connect Regional Convening provides a unique networking opportunity for hospital community benefit professionals and those interested in community benefit. We will discuss current issues and challenges facing you as practitioners, and showcase the best of community benefit today. Community benefit professionals from a variety of settings will share models and make new connections. An optional afternoon session will provide training for practitioners new to community benefit. There we will investigate the seven components of the community benefit process. Join us as we learn from each other, discuss solutions to community challenges, and share advice and ideas. Come be inspired! Provide training on the components of the community benefit process. 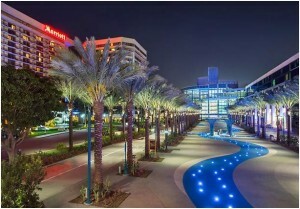 The convening meeting will be held at the Anaheim Marriott. Thank you for making the Convening Meeting a huge success! It was a pleasure meeting and seeing many of you there at the Convening meeting. Please find below, the presentations in PDF format.